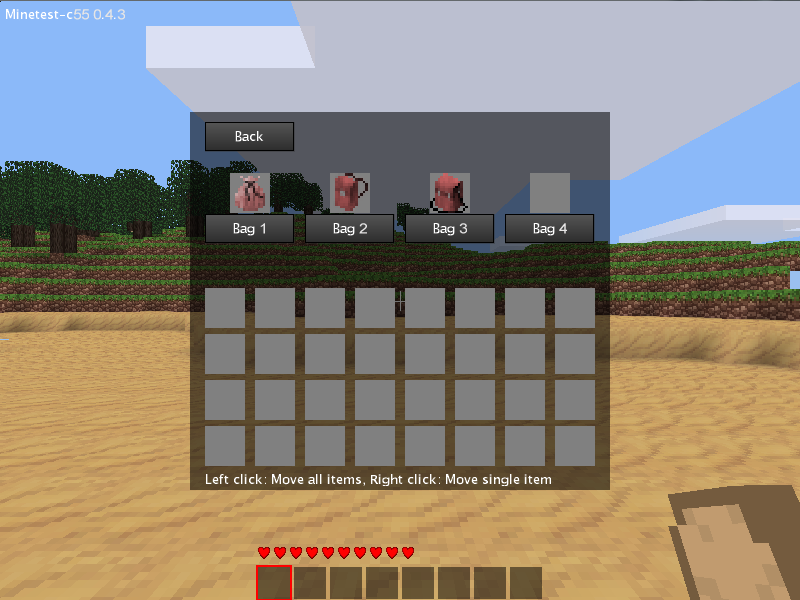 Allows players to craft and attach bags to their inventory to increase player item storage capacity. Bags are available in inventory. Bags store items permanently with the player. Does this README need improvement? Go ahead and suggest a change.